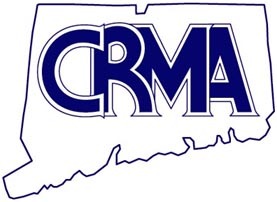 The Connecticut Retail Merchants Association is partnering with Connecticut Light & Power and The United Illuminating Company to help retailers reduce their energy costs and become more energy efficient. Connecticut retailers can now utilize the Small Business Energy Advantage program, a comprehensive, turnkey program tailored to small, lower energy-use businesses that may not have the resources or in-house expertise to focus on energy reduction efficiency. The program is administered by CL&P and UI and is part of the new Energize Connecticut initiative. The program begins with a FREE energy assessment of the facility by a utility authorized contractor. Based on the audit findings, a proposal for energy efficiency upgrades and retrofits is created, reviewed by CL&P or UI, and sent to the retailer for review. There is NO obligation to participate beyond the free audit. Thanks to financial incentives, up to 50% of the cost of a project may be covered. Some of the energy efficient measures covered include: lighting and controls, refrigeration controls, HVAC replacements, programmable thermostats, compressed air systems, variable frequency drives and various natural gas measures. In addition, on-bill financing is available. In many cases, a cash positive scenario can be created; one’s CL&P/UI bill may actually be LESS with the loan repayment than before the energy efficiency upgrades were made.